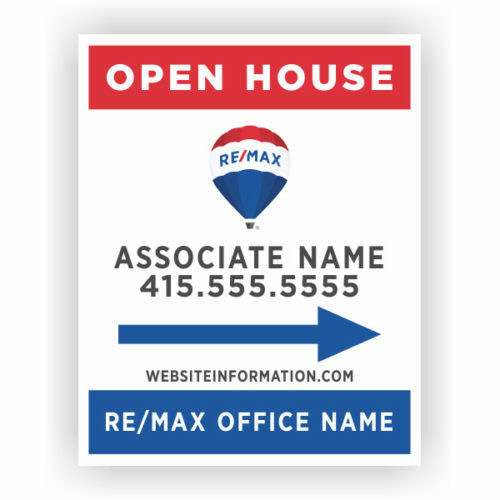 Distribute door hangers when you are planning an open house in an area. 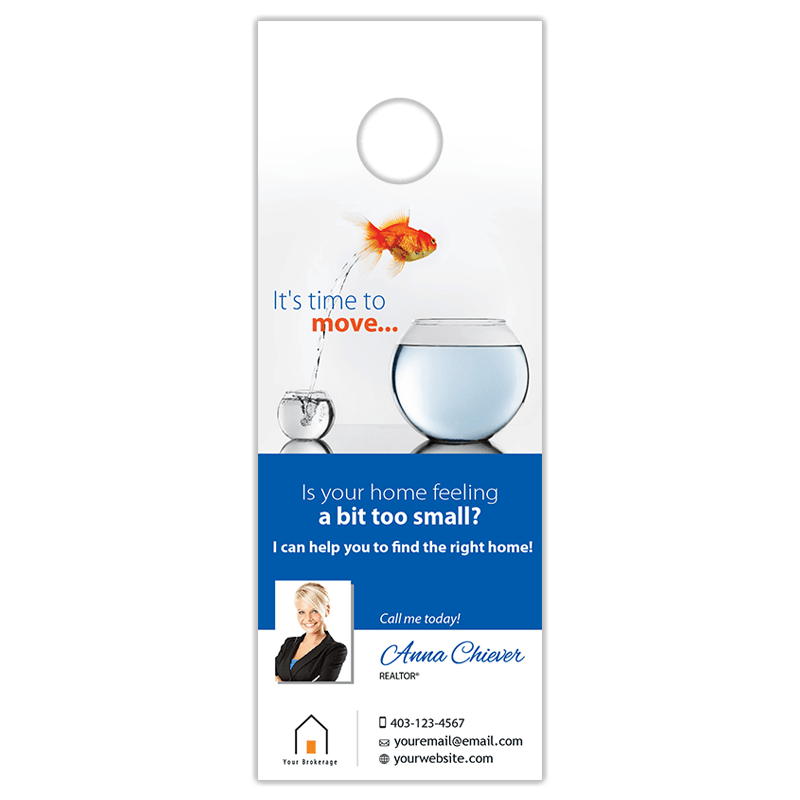 You can visit homes in the surrounding area, introducing yourself and informing them of your planned event and then when they are not at home, you can leave a door hanger for them with the information. 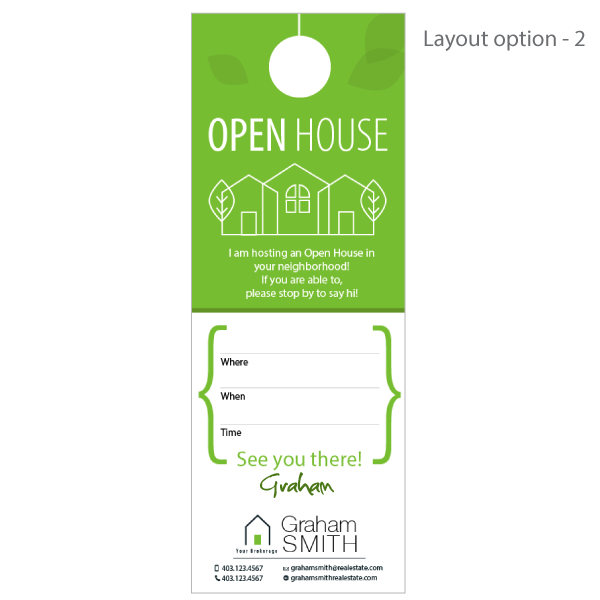 This is a great place to have us create door hangers that provide a “fill in” space that you will hand write the open house information. 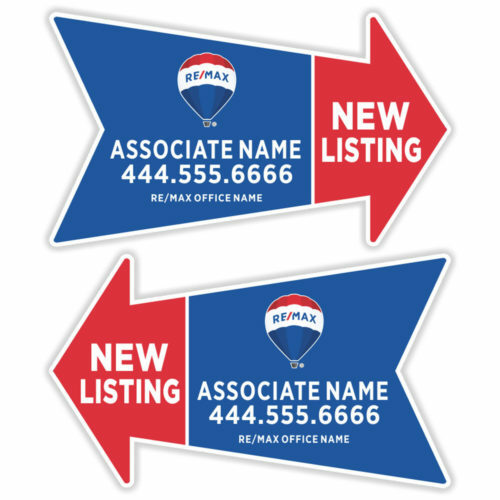 This way you can take advantage of volume pricing and be able to use them for multiple listings. 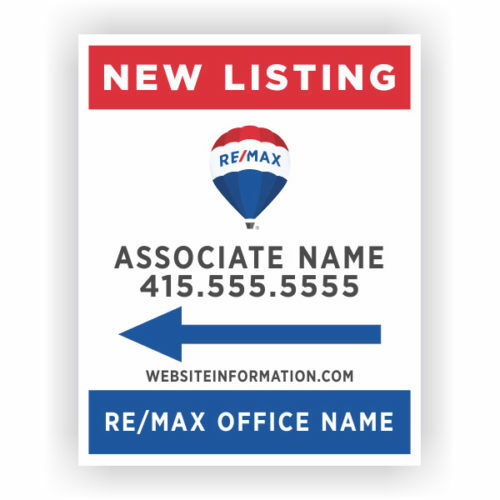 New Listings – Distribute over a greater area informing as many as you wish, that a new home has become available in a popular sought-after area of the city. 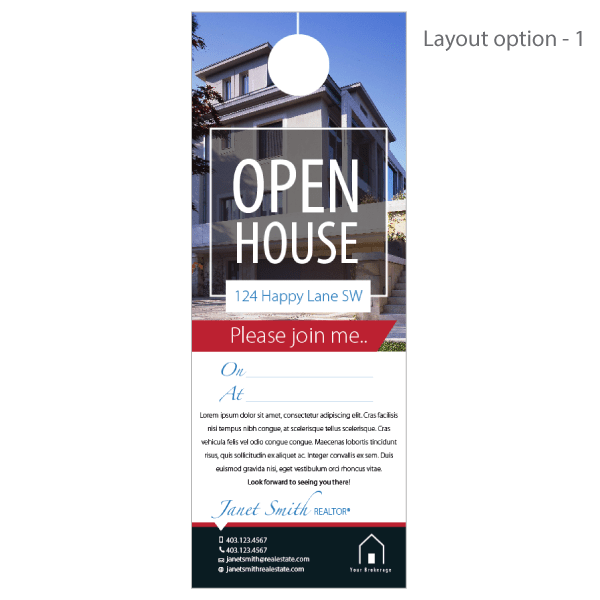 Personal Marketing for your business – Bring attention to the important aspects of your own business that makes you stand out from your competition. Combine your door hanger distribution with your door knocking. 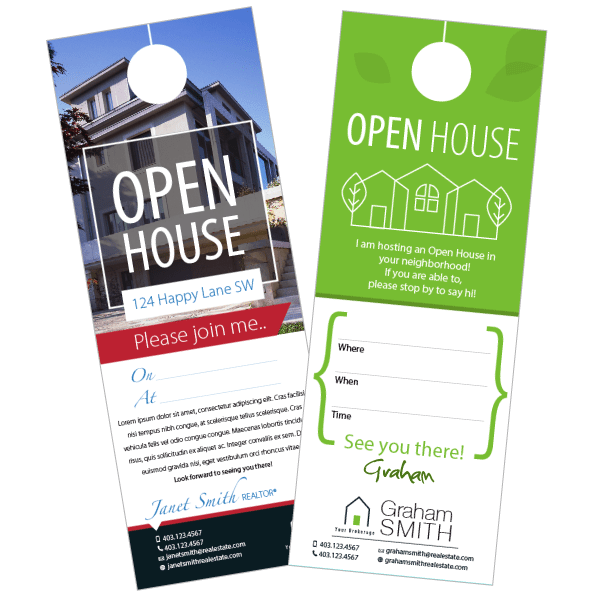 For example, if you’re door knocking to personally invite neighbors to an open house, you can leave a door hanger inviting them if they’re not home. 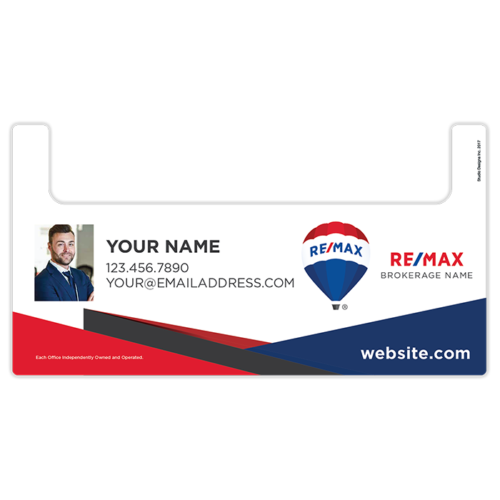 Should you wish to order a complete custom door hanger and not one of the templates options provided, please add your quantity desired to cart and select the “add-on” of custom design fee. Any future orders that implement this same design, even if the images differ, the custom design fee will be waived and only a $9.99 set up fee to swap out the images will be applied. 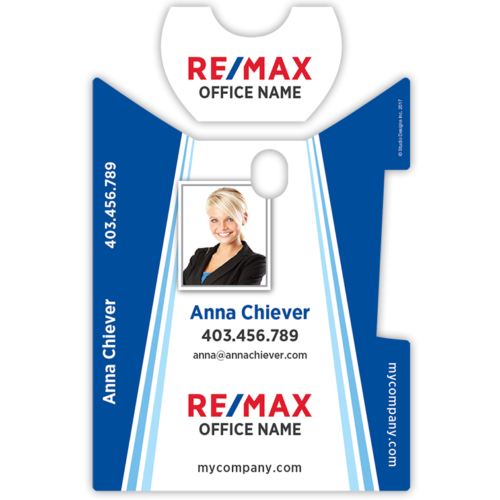 To view more our new business card printing services and more, visit us at studio4print.com. Please be sure to check out your any items in your current shopping cart, as you will be directed to a new website with its own separate cart. Provide your brokerage and contact information. We will provide you with a proof prior to production. Select your template preference here. Please refer to the design number displayed beside the image in our media gallery. Enter the text you would like on the pads, as you would like it printed. eg) Your name, phone number, website, slogans, company name, etc. Please choose from either one of the layout options provided in the gallery or select a custom design to be completed for you.